Street food has been around for many years, every Italian city has its own street food specialties, simple and yummy dishes with no compromise in flavor, quality or creativity. With Luca’s influence and freshest seasonal ingredients, Mangiare will be the right place in Kennedy Town, Hong Kong to find the best Italian street food in a friendly environment. Every week the lunch menu will change based on the freshest ingredients of the day, while chef Luca will offer a traditional daily menu for dinner time. Everyday of the week you can enjoy a typical dish from the classic Italian street food culture; all accompanied with an extraordinary selection of Italian wines and beers. Mangiare, a newly and fresh concept in Hong Kong! Mangiare means eat in Italian. We decided to call our place with this name because chef Luca during his previous experience in Bahia, Brazil, was called by the little cousin of his girlfriend “Mangiare” because everyday he was cooking some delicious dishes for all of the family and neighborhood. This is how the concept “Mangiare, Italian Street Food” was started. With more than 20 years of chef experience in luxury hotels and fine restaurants, Luca was born in a family of restaurants owners in Genoa. Since his childhood, he spent a lot of time in the family kitchen, learning the art of Liguria traditional cuisine. At 15 years old Luca started his trainee in a Genoa’s restaurant and in a few years, he’s already capable to show his natural chef skills. At 19 is time to sail his anchors and Luca moves to Provence, France. Here he had the opportunity to learn about Fine French cuisine and in a couple of years Luca strongly increase his background. From Provence to Paris is a quick step and Luca became the executive chef for Italian kitchen in a famous Parisian restaurant well known in the theater environment. After a few years in French territory, Luca is back to Genoa, with a new knowledge and passion for pairing awesome meat cuts and fine red wines. Here, he got the Sommelier title and he worked in several Liguria's restaurants. Furthermore he became consultant for many Italian and international new restaurants start-up. Another new challenging experience is calling Luca, open a deli gourmet Butcher shop in his hometown. After 7 years of activity Luca his one of the most famous butchers, well known for his great skills to offer the best meat cuts and delicious meat dishes. After all these achievements in his own country Luca decided to move in Far East for a new great working experience. At first he worked in a friend restaurant and after a while he moved to Shanghai and then Hainan as chef consultant for new restaurants start-up. From here, Luca became a well-known chef consultant, opening more than 10 Italian restaurants between all Asia. After a long time travelling from North to South, Luca decided to stop it and to start a great experience as specialty chef at The Venetian in Macau. Here, is great talent and work is well recognized through some prize achievements and great food reviews, in the meantime Luca becomes the chef of the stars that used to frequent the Venetian. Form actors, singers and stars of the Jet Setters everybody is crazy for Luca dishes marked by fresh and genuine ingredients and based on the traditional Italian kitchen. This experience brings Luca to work with some of the best celebrity stars’ chefs and Michelin star chefs showing again his great competence and passion. 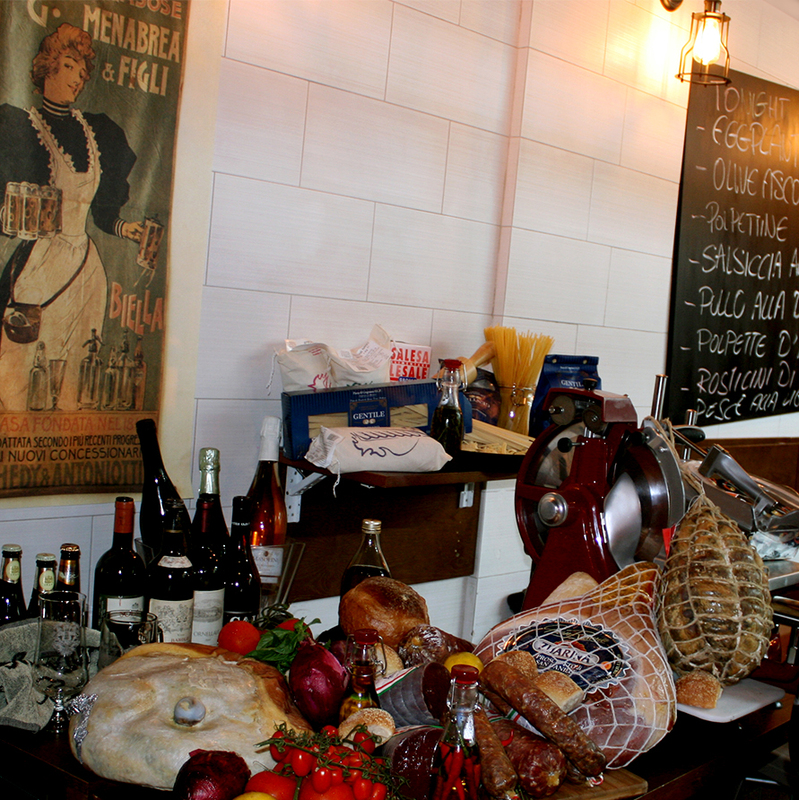 After a few years Luca has a new dream to achieve, open his own place with 2 friends, Mangiare. The concept is based on simple ideas: serve traditional Italian dishes, with genuine and fresh ingredients, for a new and truly sense experience. Luca cooking started in Europe and Arrived in Asia, but he cooked in America as well, Salvador De Bahia, Brazil. During his time there, Marielli, sister of Luca’s Brazilian girlfriend, use to call him “Mangiare”, since he spent a lot of time in the kitchen of her home in Salvador de Bahia cooking awesome dishes for the entire family everyday. From there, in a few months Luca became "Mangiare" for the whole neighborhood in Areia Branca. For here, the name of his new culinary project that he settled a few months later in Hong Kong. In the heart of Kennedy Town, a newly vibrant spot for you to enjoy your nights with awesome fresh food, fine wine and good friends.